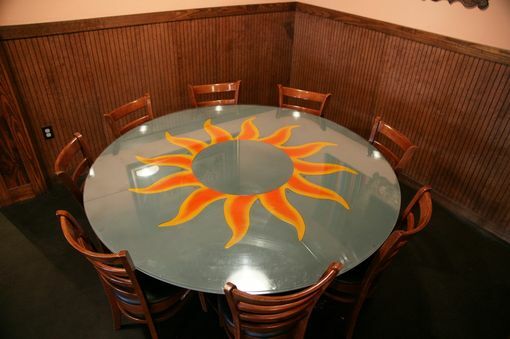 This beautiful Sun Ray steel table was painstakingly designed and constructed from the ground up. Here at Fast Lane Customs, quality and style are a basic approach, but sophistication makes this a sturdy piece to last generations. Bright sun rays are set flush into a solid steel table, making this not only stylish and modern, but of the highest quality.